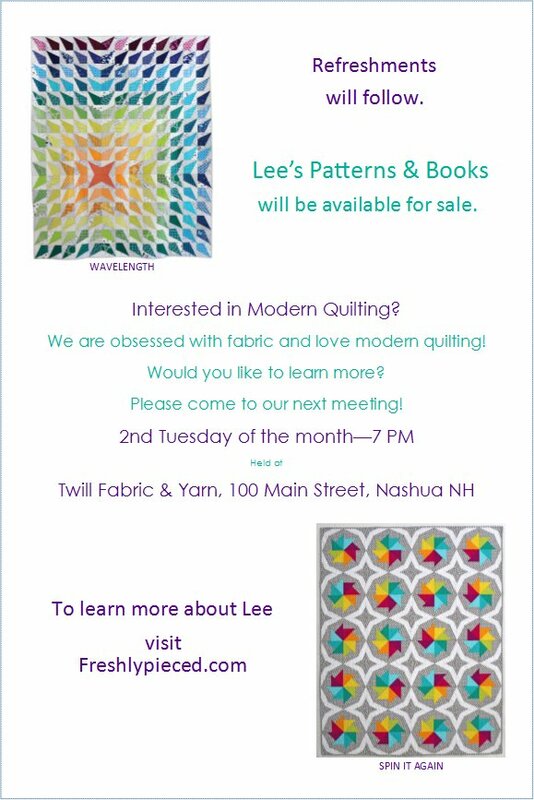 New Hampshire Modern Quilt Guild: Look Who's Coming! 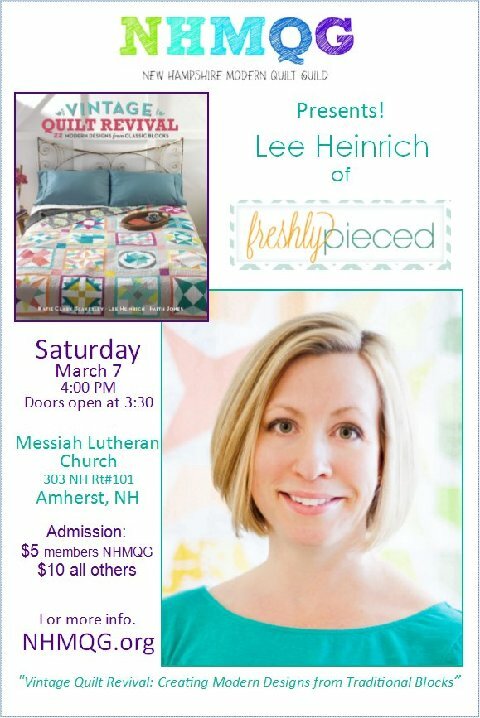 Lee Heinrich of Freshly Pieced is coming to speak with the guild!!!!! Anyone who lives close to Southern New Hampshire (or further away) is welcome to attend. Only $10 for non-members. Get the word out, and mark your calendars for March 7th at 4 p.m.